Birding California - Endemics and Seabirds. This nine-day tour is a pelagic birder’s dream trip to California! We will focus on pelagics, endemics, near-endemics and specialties along the beautiful coast of southern and central California. The 9 day program contains no less than 5 days at sea and the rest packed with California landbird specialties. If you hate pelagics, have a look at our 7 day California endemics and mountainbirds which is run back to back with the present itinerary. VERY IMPORTANT: If you like to join this trip it is very important to sign up early. Once any of the pelagics are full by independent birders, we can't sell any more spots. Check our Pinterest for some photos of California birds. We choose 9 days over two weekends so you can pack in this tour with only 5 days off work. However, we do recommend to try to make the extension trip to fit in Island Scrub Jay and the montane birds of the San Bernadino and San Jacinto mountains with a far slower pace with more time for the birds. Our tour route will take us from the urban wildlife preserves of Los Angeles, out to the deserts of Anza Borrego and the Salton Sea before heading out on the open ocean to look for offshore pelagics. Then, we will head north through L.A. to the coastal scrub and Chaparral near Santa Barbara. From there, we’ll head north along the winding but spectacular US Hwy 1 through Big Sur and up to Monterey where we will go on two back-to-back pelagic trips from Monterey Bay and Half Moon Bay further north. We’ll then do some birding around Monterey where we’ll wander through a spectacular Redwood forest, see the high cliffs of Santa Cruz and then check Mt Diablo State Park for Chapparal birds before heading down to Santa Fe, where the tour will end. From here it is easy to connect with various airports in the Bay Area, be that Oakland, San Francisco or San Jose itself. Plan flight from 7 pm or later or the next day. The pace of this tour will be quite fast, although the birding must be considered moderate difficulty with the landbirding quite easy and the seabirding sometimes challanging. We will cover long distances in short amounts of time which will make for long days. The advantage is that we will see lots of birds. Check our Pinterest for some additional photos of California birds. Day 1 Saturday: LA Birding and drive to Salton Sea. Early wakeup, Birding around L.A. Our targets will be the “California” birds. We’ll spend the morning at Irvine Regional Park, Peters Canyon and Santiago Oaks for Oak Titmouse, Wrentit, California Thrasher, California Towhee, Nuttall’s Woodpecker, etc before heading to the coast where we’ll hit Bolsa Chica Biological Reserve and Upper Newport Bay for Elegant, Royal and Forster’s Terns, Snowy Plover, Least Tern, various other shorebirds, California Gnatcatcher, and then By late afternoon, we’ll head towards the Salton Sea. Night in Calipatria. We’ll get up early and spend the cool morning hours birding around the Salton Sea looking for Yellow-footed Gull, Laughing Gull, Forster's Tern, California Gull, and other waterbirds, Black-tailed Gnatcatcher, maybe Ladder-backed and Gila Woodpeckers, Costa’s Hummingbird and Abert’s Towhee, Gambel’s Quail, California Quail, Sage Sparrow, Curve-billed Thrasher. Then we’ll head to Borrego Springs where we’ll search for Le Conte’s Thrasher before heading to Cuyamaca Rancho for a quick chance at White-headed Woodpecker, Mountain Quail, Pymgy Nuthatch and Pinyon Jay. Night in San Diego. 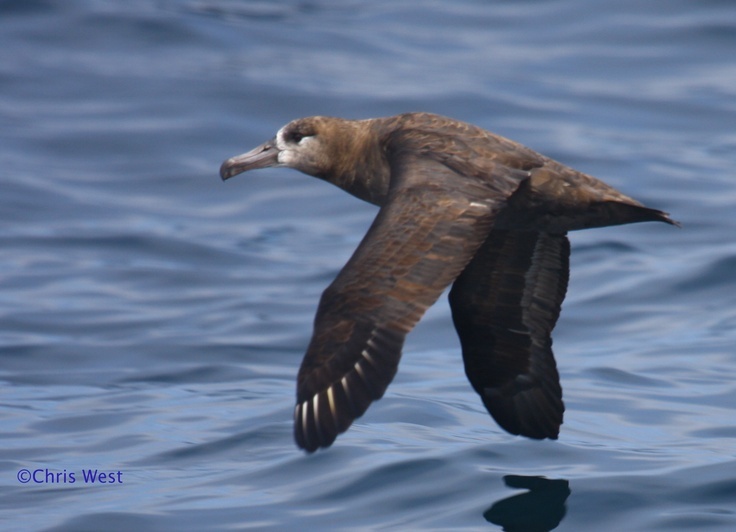 Days 3-5: Monday-Wednesday: 56-hr Pelagic with Buena Vista Audubon. Day 6: Thursday:: Bird from Santa Barbara to Monterey. Day 7: Friday. Monterey Pelagic. We’ll get up early to join Shearwater Journeys out on the world-famous Monterey Bay. Seabirding is unpredictable at best, but we’ll look for Albatrosses, Shearwaters, Skuas, Murrelets, Auklets, Murres, Loons, Phalaropes and more! Day 8: Saturday: Half Moon Bay Pelagic. Day 9: Sunday: Bird around Bay Area. This will be a rather more leisurely day to end the trip with. We will start early and head south to Monterey before looping back north again. Our route will include a morning stop at Henry Cowell Redwoods State Park and possibly Henry Coe State Park, and then a couple hours at Mt Diablo State Park where we will have a last ditch attempt at any of the higher elevation chaparral species. The tour will conclude at the hotel in San Jose. From where shuttles can take you to your airport of choice. Don't plan for flght earlier than 7 pm. Photo: Black-footed Albatross by Chris West. Price to be confirmed. Includes, guiding, all pelagic excursion, transport, hotels, and entrance fees.. Does not include food.